Stock up on holiday drink essentials for seasonal flavors and festive inspiration! Serve your holiday coffee creations in style with our selection of cups and glasses. Cater to your drive-thru customers with our collection of disposable take-out supplies. Toppings and mix-ins add special holiday flair to your drinks, while flavoring syrups can be used to enhance your blended drinks and cocktails. Also make sure to check out other great items from Acopa Tableware, Avantco Equipment, Choice, EcoChoice, Galaxy, Silver Visions and Visions. When the holiday season arrives, you can add a festive touch to your drink menu with our holiday beverage supplies. Flavoring syrups help you to keep up with seasonal trends by adding holiday flavors to shakes, smoothies, and cocktails. Many of our mix-ins are gluten-free so you can offer holiday drink options that everyone can enjoy. For other coffee shop supplies, check out our commercial grinders, hot water dispensers, and cappuccino and espresso machines. 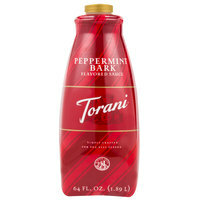 If you're wondering where to buy torani holiday drink supplies, we have a large selection of torani holiday drink supplies for sale at the lowest prices.